The Verdict: I'll start out by saying that I'll never post a negative review on this site. I figure, if it's not delish, it's not worth writing about. But just how delish are Paulette Koumetz's and Christophe Michalak's macarons? Delish megish, indeed. These little masterpieces had me raving that macarons are the new cupcake. I didn't know much about macarons before I tasted several different kinds at Paulette, but it was definitely love at first bite. 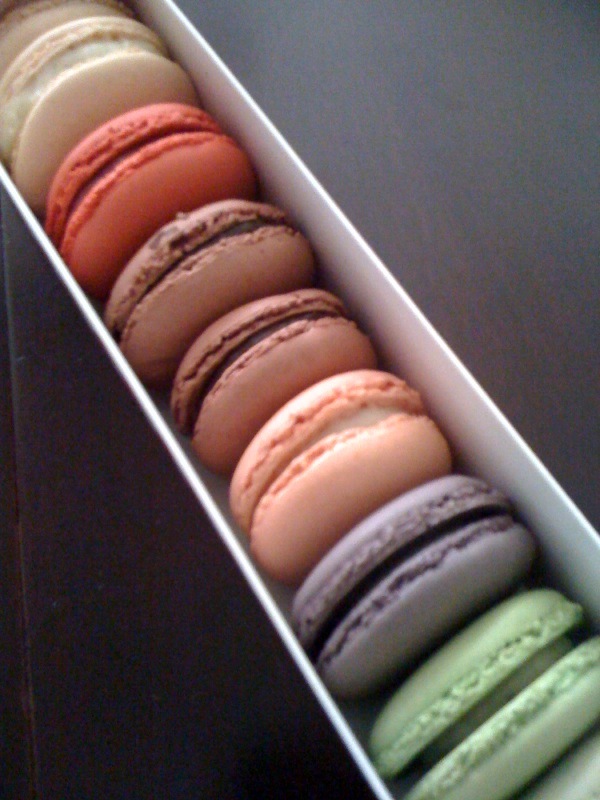 Though they're pretty pricey (individual macarons are $1.60 each; 1 dozen is $19) they're well worth the occasional splurge. These kosher dairy delights are light and airy with the right amount of richness. The exterior has the slightest crunch and the center is perfectly gooey. I haven't tasted a single one I didn't like but my favorite one was the rose macaron. Fluffy and floury, these little puffs are made with a little bit of rosewater for that unique flavor. Chocolate lovers will enjoy chocolate-stuffed chocolate shells and pistachio aficionados will marvel at the soft, smooth centers of the green macarons. If you want an even sweeter treat, try the caramel, which has a sugary, sticky filling. I’m actually not the biggest fan of mousse. It’s usually too chocolate-y or too bland, too soft or too sweet. Too something. But this recipe, taken straight from the Food Network’s Giada De Laurentiis herself, has just the right consistency – and with a few of my own tweaks, just the right level of sweetness. It’s super easy and best of all, it doesn’t require any cooking. 1. 1 cup of strawberries (or the same kind of fresh fruit as your jam) Either in a food processor or mixer, blend the room temperature ricotta cheese until it’s smooth and fluffy (usually about 30 seconds in a food processor, or 1 minute in the mixer). Add the jam and blend until combined, about several seconds until you get that nice, light pink color. Transfer to a large mixing bowl. If you’re like me and your kitchen appliances are both small and limited, you’ll probably need to wash and dry your mixer. You’re going to whip the cream, so you’ll want to make sure you have a clean mixer to make sure the cream becomes the right consistency. 2. Beat the cream on medium-high speed until thick, about 5 minutes. Add the powdered sugar and crank up the speed. Blend until the cream holds stiff peaks, about 5-7 minutes longer. 3. Fold (or gently mix) the whipped cream into your ricotta-jam mixture in small batches. 4. Refrigerate 1 hour prior to serving. When ready, use an ice cream scoop to plop a generous portion onto your serving bowls. I use one hefty scoop per serving. Garnish with your fresh fruit and enjoy! My notes: Mine vs. Giada’s. 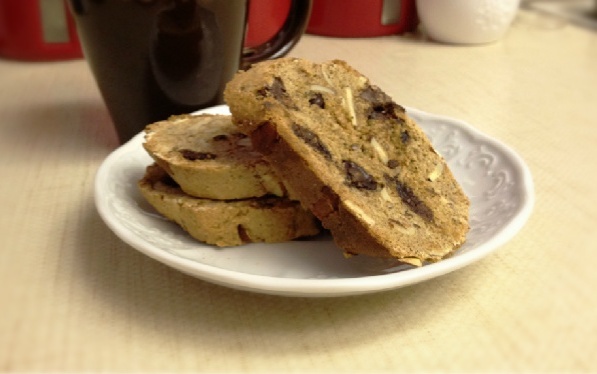 When I first whipped up this dessert, I followed Giada’s recipe down to the last measurement. While I was happy with the texture, I felt the end result was a bit too ricotta-y and not quite sweet enough. I like a little extra jam and powdered sugar. Which jam? Giada’s original recipe actually calls for raspberry jam. I’ve also seen this made with blueberries! Feel free to use whichever preserves or jam you like – it’s probably a good idea (for your wallet!) to choose one that’s on sale. Just don’t use jelly! You want the full-bodied taste of real fruit, and that’s a taste you get only from preserves or jam. Why whole milk ricotta? For a more calorie-friendly treat, you could go with skim milk ricotta. I just prefer using whole milk to get a richer flavor and that perfect mousse-y texture. Also, when you’re making recipes with so few ingredients, it’s important to make sure they’re good quality. Using fewer ingredients means you can’t hide the tastes of cheap items! Why powdered sugar? Powdered sugar is much lighter than granulated, so it incorporates into the cream much more smoothly. It also gives the cream a tiny bit of weight that lets it puff up. That way, you get a fluffy whipped cream that’s perfectly smooth.